The 2017 competition is now well and truly over but we are leaving this page live so you can see what it's all about. Please do visit the Hall of Fame page to see the 2017 winners and some photos of the brilliant art works hanging in the Stables gallery! Nature - The Land, Sea and Sky! Are you feeling creative? 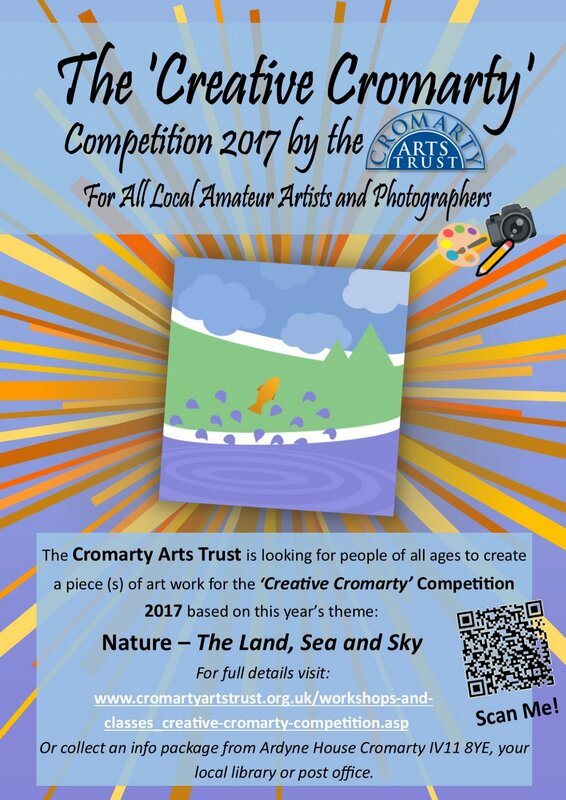 The Cromarty Arts Trust (CAT) is launching the ‘Creative Cromarty Competition’ for 2017 with the aim of encouraging and inspiring people of all ages to think creatively. 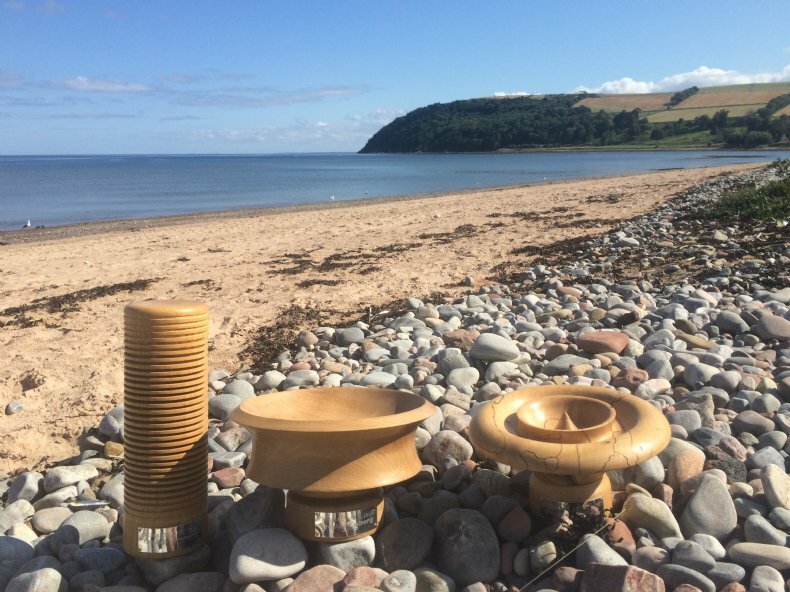 Each year VisitScotland promotes a year of ‘something’ and 2017 boasts the Year of History, Heritage, and Archaeology and whilst The Black Isle has a well-known historical background, the Black Isle’s Natural Heritage is just as worth celebrating and can be easily underappreciated and taken for granted. It is our hope that as part Scotland’s Year of History, Heritage, and Archaeology, the competition gets people to be inspired and create up to 3 pieces of work along the theme of Nature - The Land, Sea, And Sky to help celebrate and appreciate our local Natural Heritage. The Arts Trust welcomes any, and all, forms of visual art from painting to sculpture or tapestry to drawing etc. and has a dedicated Photography category. There is something for all amateur artists and photographers out there (but please note, you must be an AMATEUR artist and not already selling your work!). All entries must be received by 5:00pm, Monday 18th December at Ardyne House, Cromarty and the submissions will be exhibited on the 6th and 7th January in the CAT Stables Gallery for everyone to view. 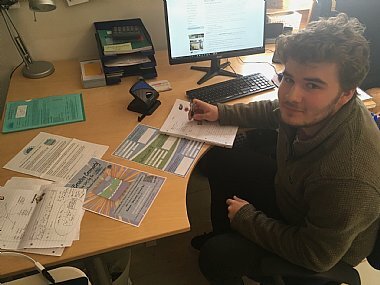 The Creative Cromarty Competition has this year been organised by The Cromarty Arts Trust’s Intern, Joe Inman, who was awarded the Caroline Hewat Prize in June of this year. The Prize was created in the memory of the Cromarty Arts Trust’s former Arts Development Manager who sadly passed away in 2015. As an artist herself, Caroline was highly interested in promoting arts and culture and the trust thought it was fitting that the prize should go to a school pupil in the local area. Joe, who has recently finished S6 at Fortrose Academy and is shortly to start a degree in Architecture at Robert Gordon University, was privileged to be the first recipient of this prize. Joe is delighted to be completing the prize internship and has continued Caroline’s work in encouraging creativity in the area during his time managing the Competition for 2017 this year. Above you can find entry, forms, info sheets and full terms and conditions for the competition.